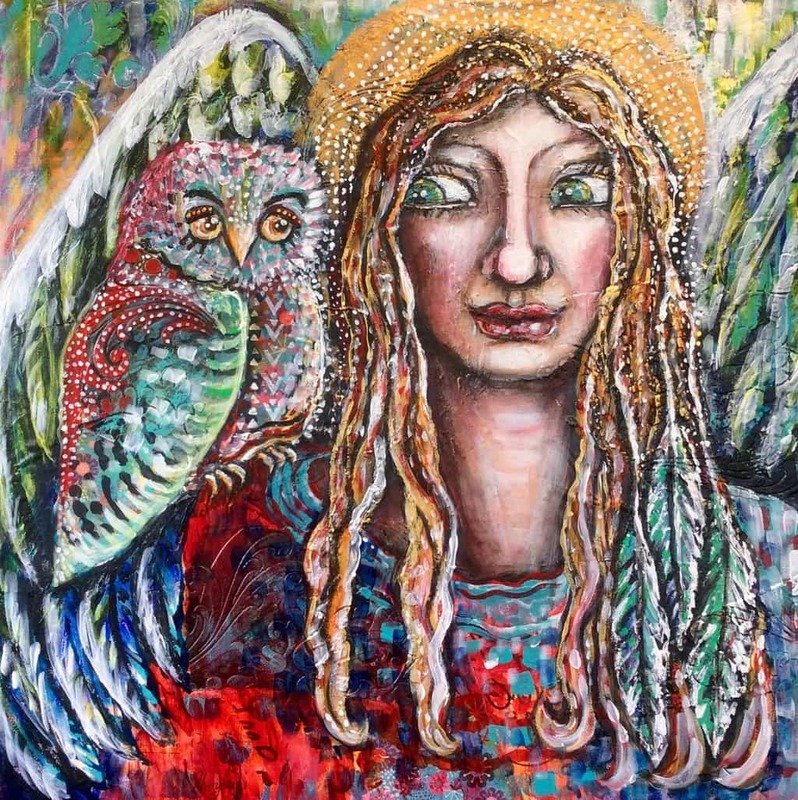 An Intuitive Artwork by Cheryle Bannon: Soul companion is about a girl and a white wolf companion wwho is her guide, friend and teacher. 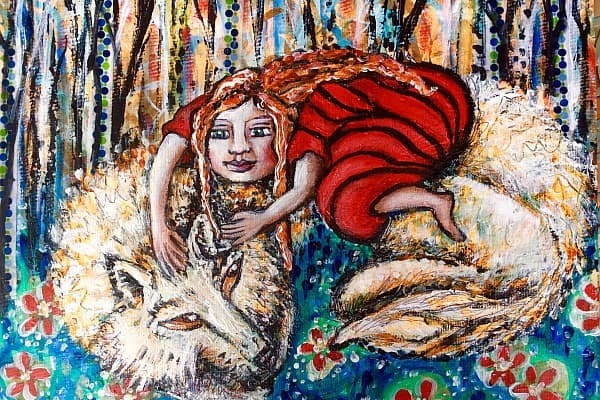 Soul Companion evokes a sense of love and friendship as the child lovingly rests on the white wolf. Despite its wild nature the wolf will always be there for her.